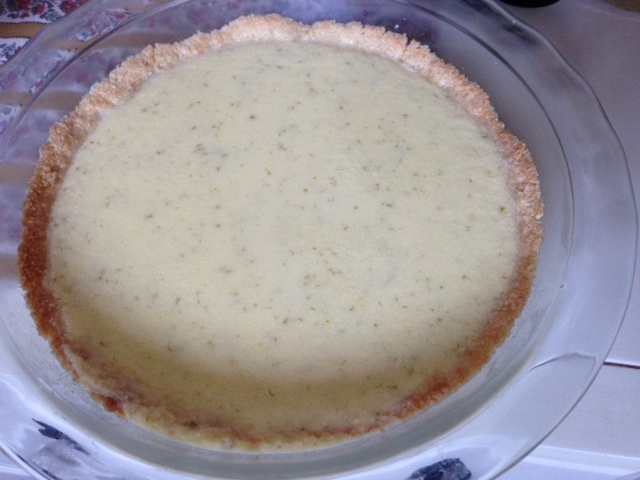 Sugar free, low carb, gluten free Key Lime Pie! Let me tell you guys, cold weather or not, this dessert goes into my craving rotation! Aaand it will most likely be on the menu for Thanksgiving along with my Chocolate Cream Pie. What’s Thanksgiving without a-million-and-one dessert options am I right?! 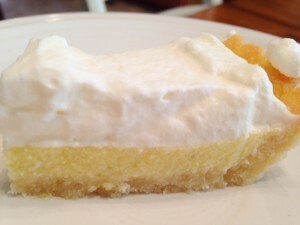 Enjoy this next pie filling idea for my Pie Crust recipe! 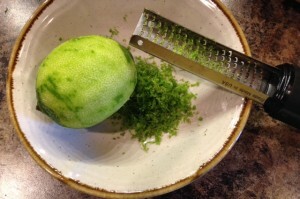 In this recipe, you will be zesting and juicing a lime so I have a few fun pictures of how I zest and juice my lime! 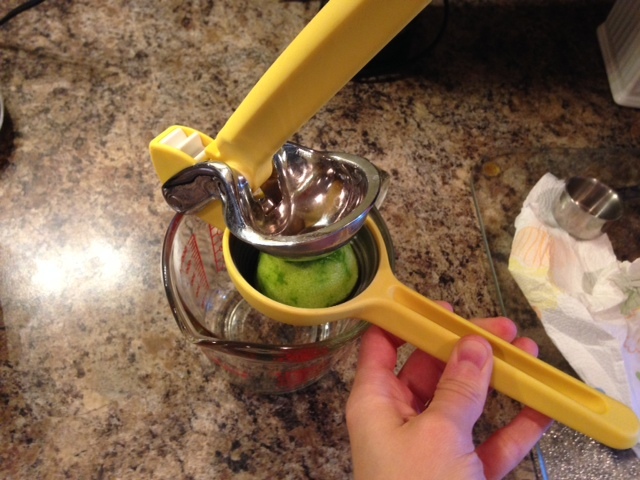 I’m using the Pampered Chef Microplane Zester and the William Sonoma Chef n’ Citrus Juicer. What’s a chef without her tools! Slice lime in half and juice each half separately. After making the filling (super easy), pour into cooled pie crust! Stick in fridge uncovered until slightly chilled. After slightly chilled, spread whipped cream over and chill for about 3-4 hours or until set. Next add vanilla and melted butter. Knead dough together with hands then press dough evenly on greased pie dish. Bake crust for 14-15 minutes until crust is barely browned. Cool for 2 hours. I stick mine in the fridge uncovered or make the day before. Zest lime then juice lime to equal ½ cup. If you need to add some lime concentrate to add up to ½ cup that's fine. Heat lime juice in microwave for about 1 ½-2 minutes. Add lime zest to hot lime juice, then whisk gelatin into lime juice until dissolved. Put lime mixture in fridge while doing these next steps. Put egg yolks in a medium-large bowl and mix in sweetener. Heat the half and half and heavy cream in a small pot over low-medium heat until you see bubbles around the edges. Add ⅓ of a cup or so of the heated half and half to the yolk mixture and whisk quickly. Then, add the yolk mixture back to the pot and cook over low heat until slightly thickened. After everything is thickened and creamy, whisk the cream mixture with the lime juice/gelatin mixture. Pour filling into pie crust and chill in fridge for at least 2-3 hours. After pie is slightly chilled, whip heavy cream with sweetener until stiff peaks form. Spread gently over pie. 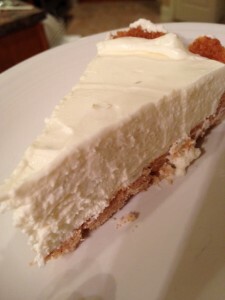 Another option would be to fold the whipped cream into the key lime mixture. Chill the key lime for about 30-45 minutes in the fridge. Make the whipped cream, then gently fold in the whipped cream into the key lime and spread onto pie crust! This entry was posted in Dessert, THM. 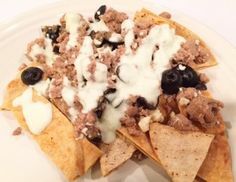 Have had a little set back this week…pace maker implanted…which will slow down my pie making,etc but am so wanting to try these recipes…maybe I can hire you or your mom! Jen, you are “the bomb” as some say! Keep up your good work! Who eats all your test foods? Ha,ha…I KNOW the answer! Love you, David! This recipe sounds delicious! But I’m not a big fan of stevia… would you know the equivalents of Swerve sweetener (erythritol)? Hi Holly! THM created a great sweetener conversion chart that is helpful with figuring out different equivalents! Can someone tell me what THM Sweet Blend is? And, if we don’t have some, can we use something else? This looks yummy! Hi Sophie! You can use 1/2 Cup of Truvia with 2 Tiny Scoops Now Better Stevia Extract Powder or Trim Healthy Mama Sweet Blend! Also here is a Sweetener Conversion Chart with zero calorie sweetener options!